I have a love affair with natural light in my photography. After my first workshop in learning how to shoot in it a year ago, I have been using any excuse to shoot in it. The best time is at sunrise or sunset, and I love the haze the sun can give an image. It makes it dreamy, it is kind of like an extra person is in the picture, adding a sense of magic to the moment. Below is a picture I took at a retreat I was last weekend. 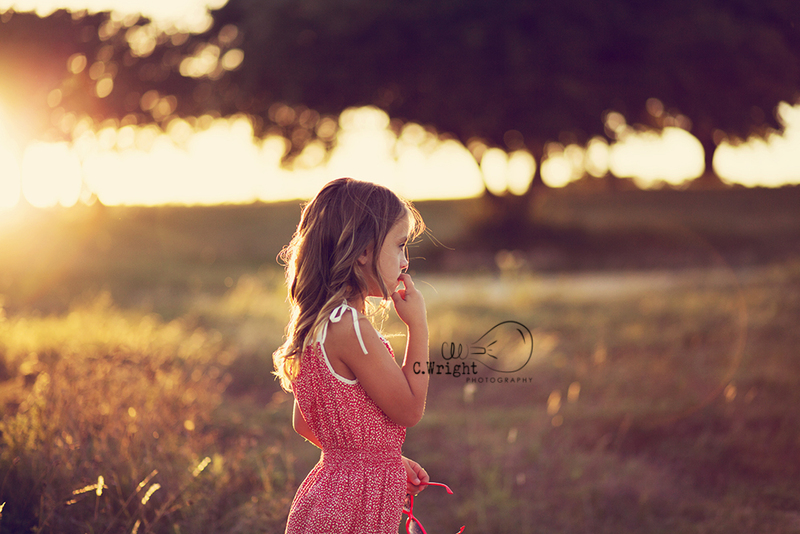 The little girl is on a break from being photographed and is simply being herself. It’s simple, soft and hazy. It makes my heart happy. 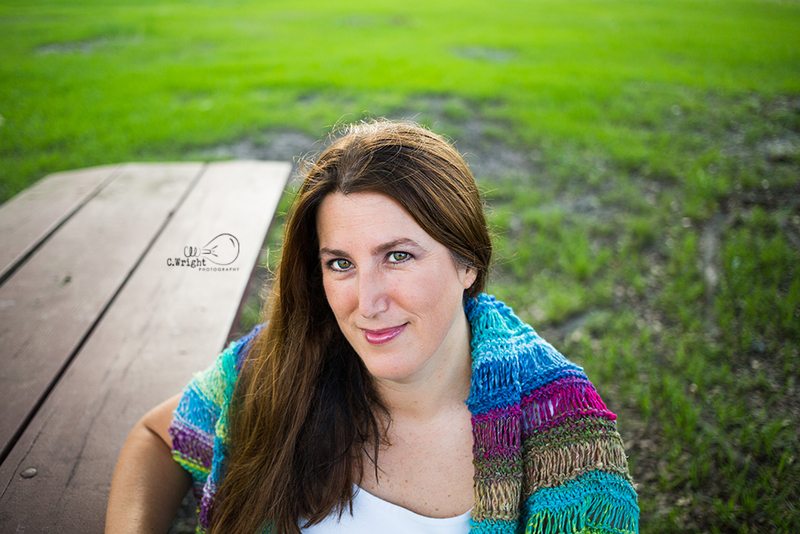 This is the look I go for with all the clients I shoot at sunrise or sunset. Another example of my work is from my workshop last year, I was aiming at getting a nice halo of light around her head, and it works!! She is almost romantic looking. Some photographers love shooting when it is overcast, they say it is nature’s way of creating a soft box. Personally, I find overcast pictures to be flat and uninspired. Now don’t get me wrong, I have shot plenty of people in overcast light and it has worked. I simply always look at those pictures and wonder what they could have looked like had the sun been out. 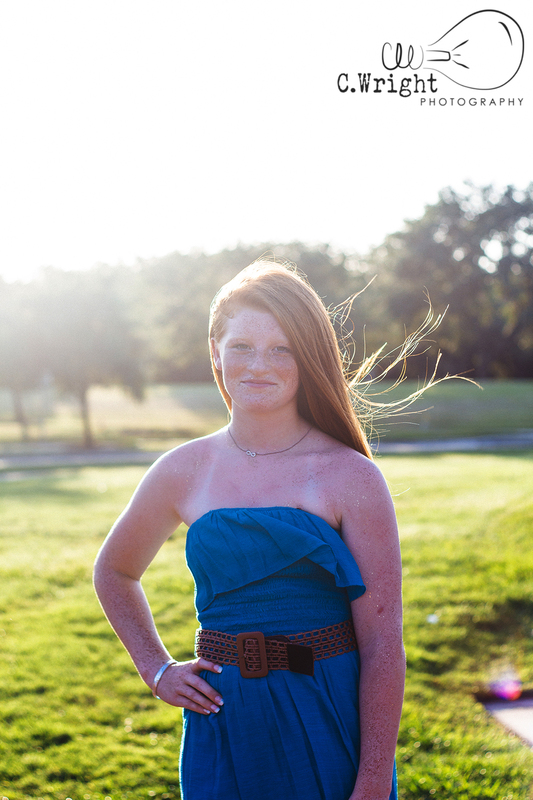 Here are some more examples of beautiful pictures that were taken in natural light. If you love what you see, we should talk, I would love to capture you just like this. 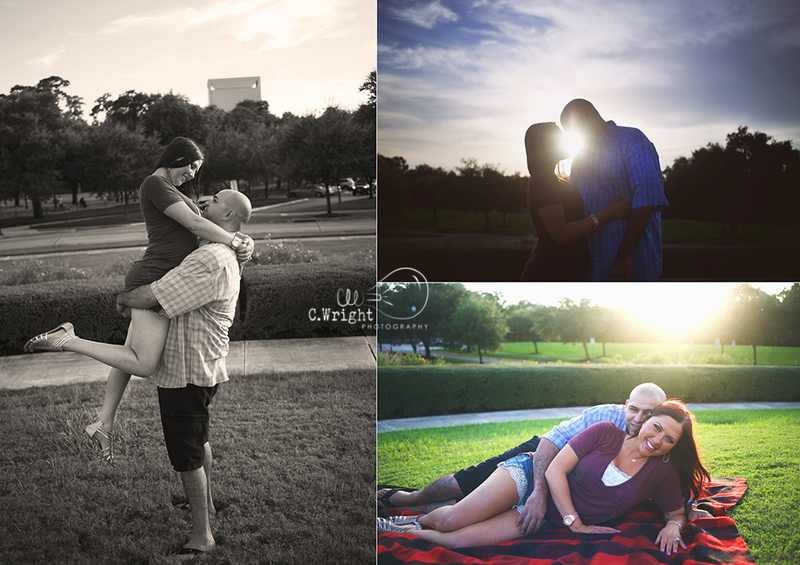 Houston has so many beautiful parks, so when we were planning this session, there were a myriad of choices. 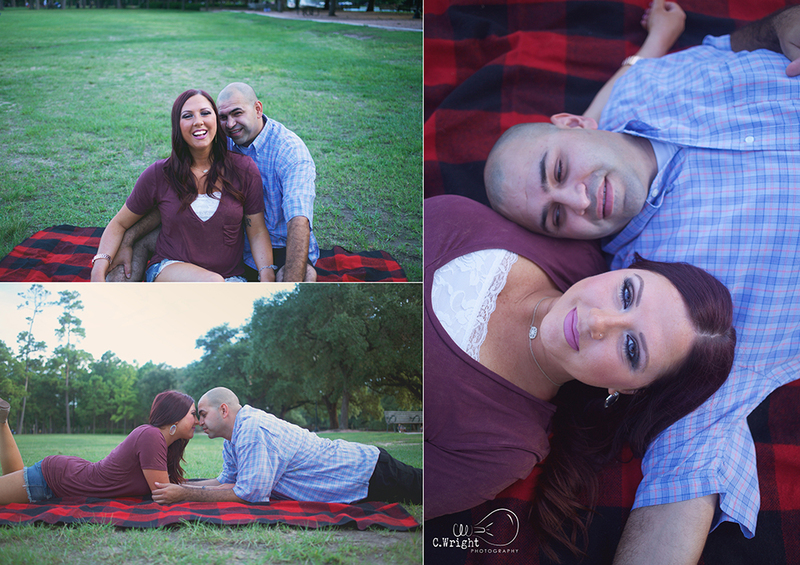 We decided on Hermann Park, it’s near the Medical District and has a lot of beautiful areas to take pictures at. It has bodies of water, beautiful gardens, sprawling grass and the when the sun sets, all my pictures turn into magic! August in Houston can be humid. Ok fine, it’s always humid but in the summer it’s intense! 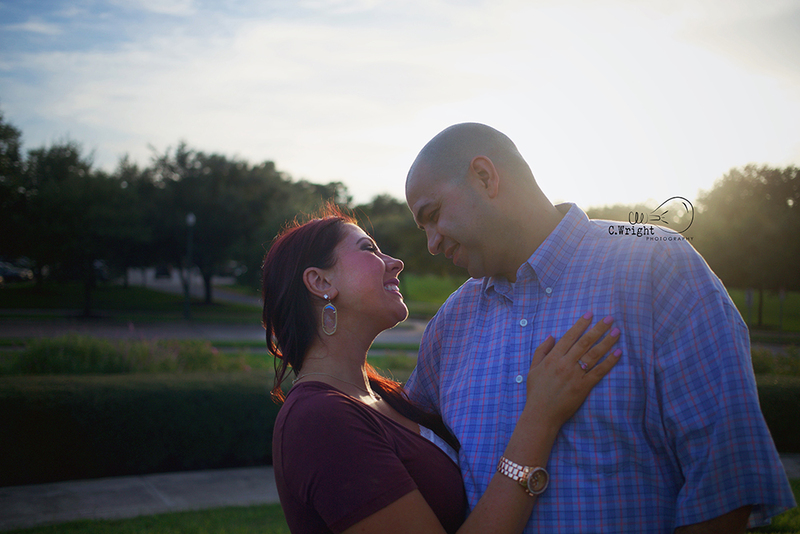 Even in the humidity, Melissa and Jason’s love for each other never wavered. Jason and Melissa compliment each other–Melissa can make Jason be silly in a way that no other person possibly could. 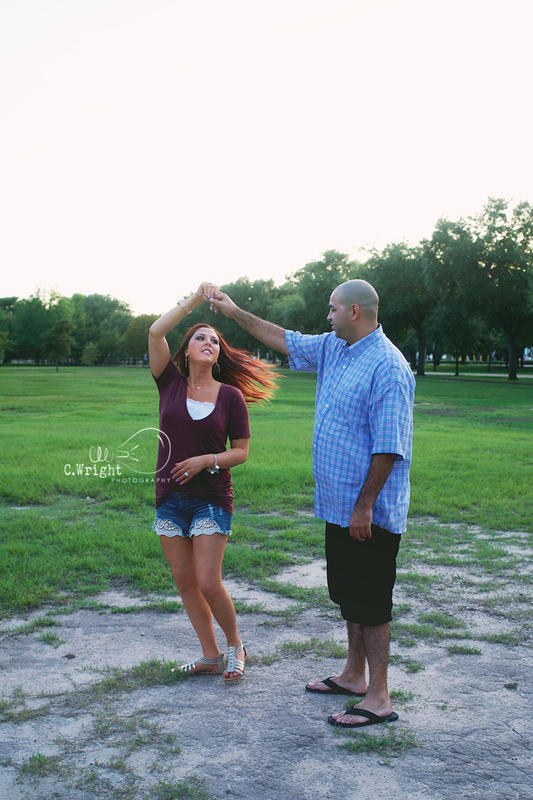 He is able to ground her and keep her focused on what is truly important. Their love is tangible and genuine. By simply watching them interact, they possess a relationship that every couple wants. 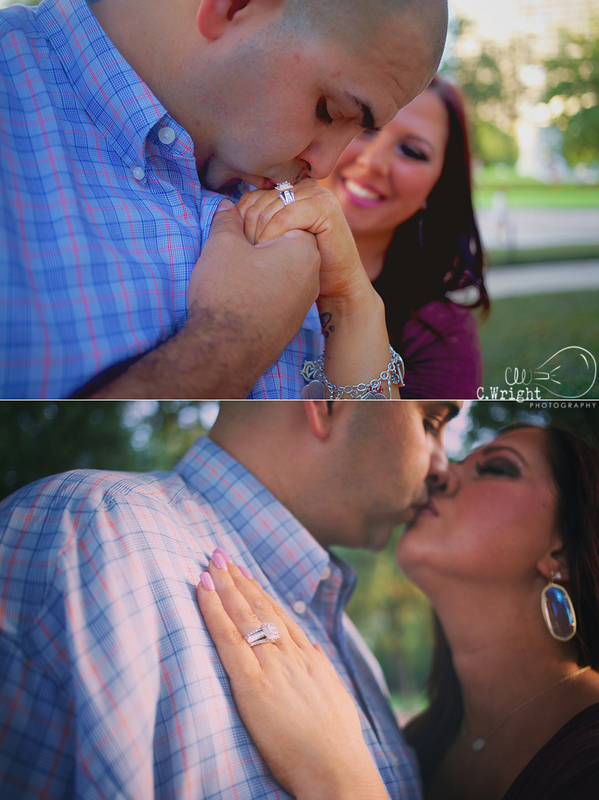 Thank you for the opportunity to photograph your engagement pictures, I cannot wait for your wedding in November! 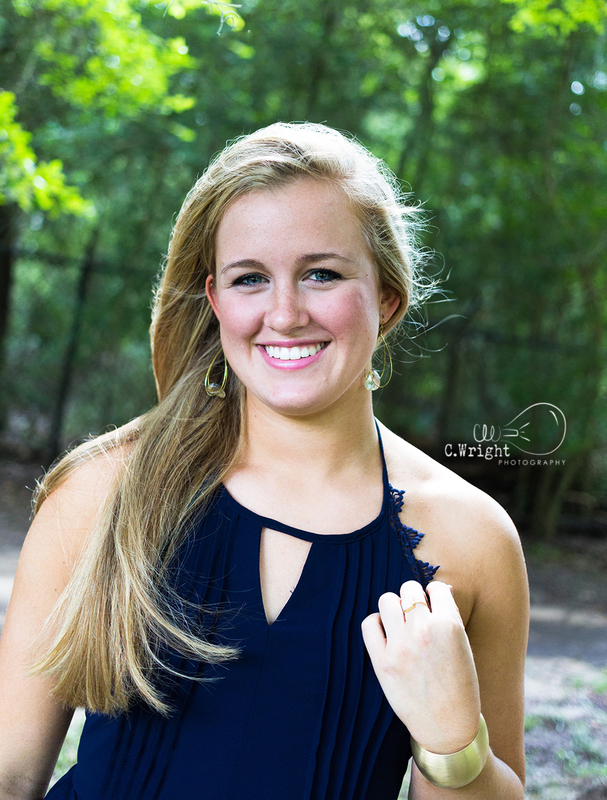 Interested in scheduling your wedding or portrait session with Christine? 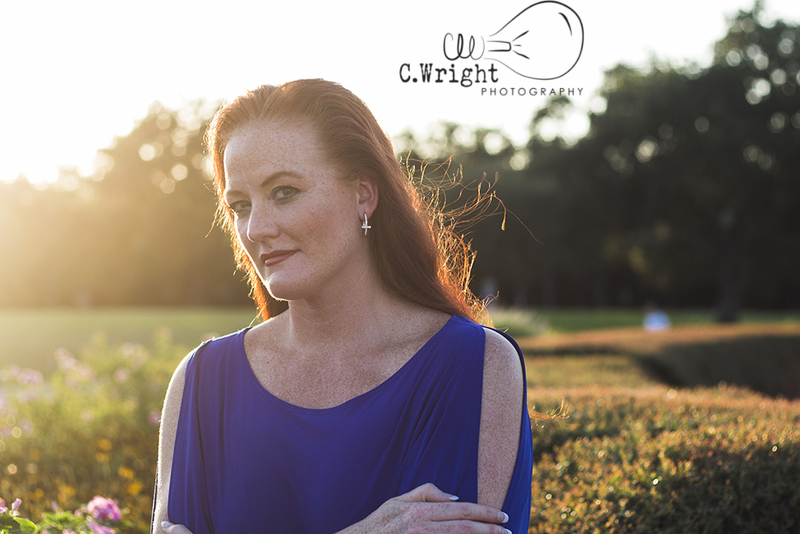 Email her at christine@cwrightphotographyhouston.com!